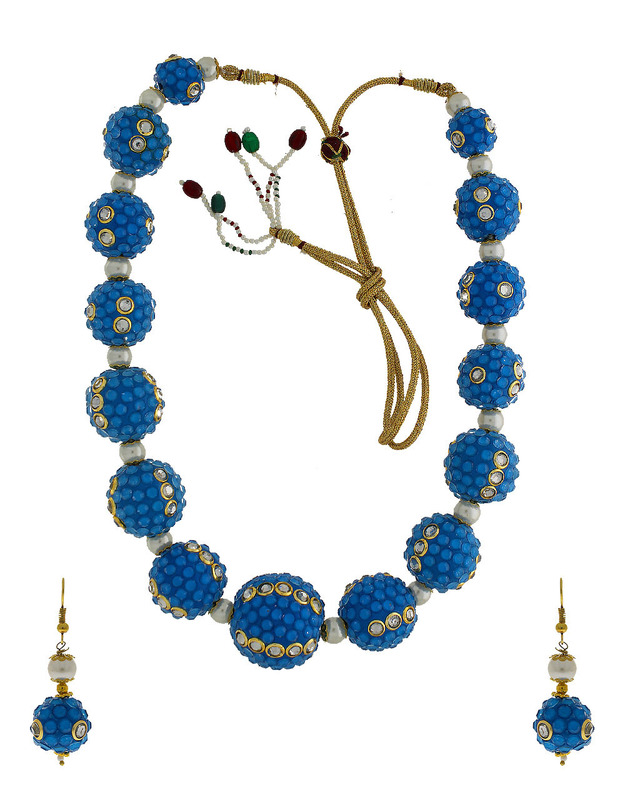 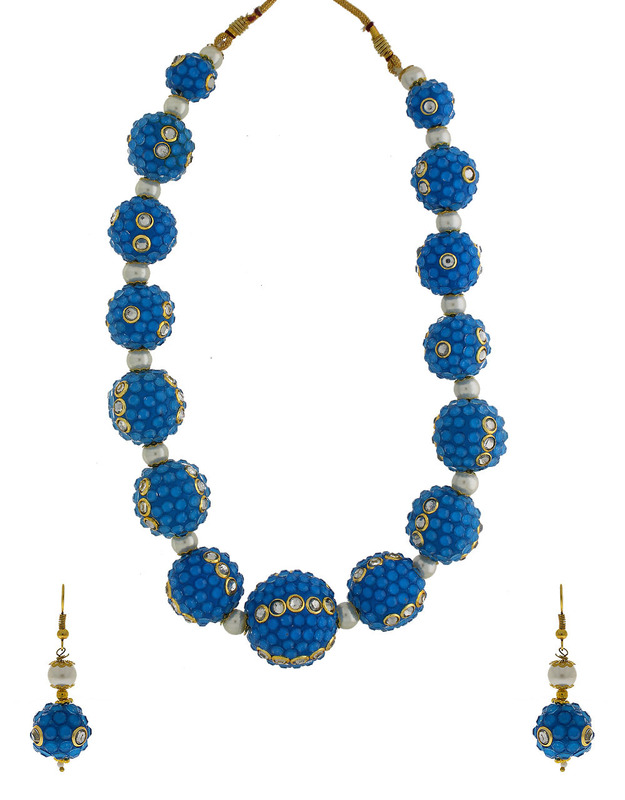 Add extra resplendence to your persona by clubbing this sky-blue colored ball necklace set with your designer attires & get that distinctive look. 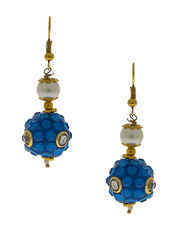 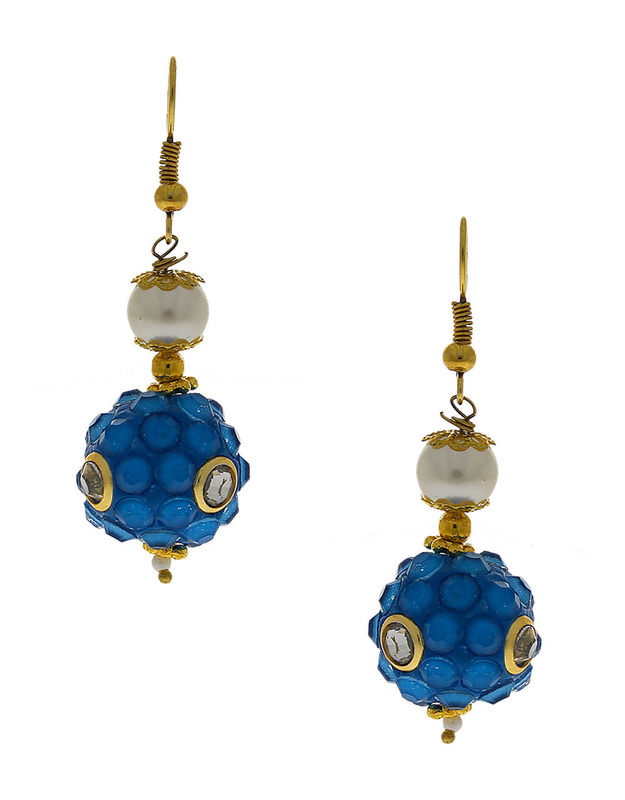 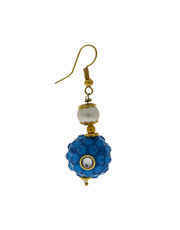 The balls are perfectly embedded with sky-blue & white colored stones. 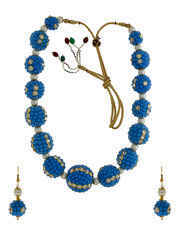 This adorable set will fetch you endless compliment from onlookers for your amazing choice. 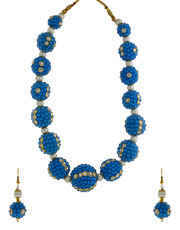 It is easy to wear & fit according to your neck as it has adjustable ‘dori’.